Great post Adina. Ratings are totally misunderstood. We have a tendency to ascribe their meaning to their apparent objectivity. Four stars are four stars. And so the thing rated is four stars in value. But ratings are not just the rating left behind by a user’s activity — they’re always used in some kind of online social context, also. (We wouldn’t use them if there weren’t a social context). Ratings mean something different, then, when considered in the context of the act of rating. And therein is always the rub. And where any social system has to view ratings within the context of its own sociality and social organization. So, ask: What is the most important difference made by the rating? Is it subject-related, object-related, or socializing? –What is the rating communicating to others? –What might the user who rates mean to communicate? –How does the rating reflect on the user who rated? What social significance attaches to the act of rating? Since in social interaction design we can separate the meaning of a social act from the meaning attached to the social objects used, the act of rating and ratings are separate issues. As you observe with voting/gaming the system. This always introduces the possibility of bias into the act of rating. Which is best handled by smart approaches to how the rating should be implemented, and where it should matter. What is the difference made, and how does it reflect on the user, on the object, and how does it socialize each. I have more on this in a rather twisted post on leaderboards, where, again, we see the ambiguity of subjective vs objective meaning in social media design. Nice balance of breadth and depth in reviewing rating systems and rationales. I’d definitely rate this 5 stars. Understanding Deja Reviewers, by Eric Gilbert, Karrie Karahalios (University of Illinois at Urbana-Champaign), in Proceedings of the ACM 2010 Conference on Computer Supported Cooperative Work (CSCW 2010). Abstract: People who review products on the web invest considerable time and energy in what they write. So why would someone write a review that restates earlier reviews? Our work looks to answer this question. In this paper, we present a mixed-method study of deja reviewers, latecomers who echo what other people said. We analyze nearly 100,000 Amazon.com reviews for signs of repetition and find that roughly 10–15% of reviews substantially resemble previous ones. Using these algorithmically-identified reviews as centerpieces for discussion, we interviewed reviewers to understand their motives. 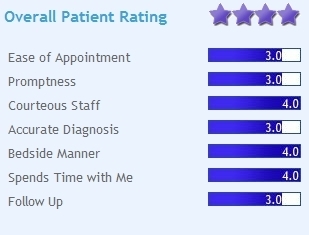 An overwhelming number of reviews partially explains deja reviews, but deeper factors revolving around an individual’s status in the community are also at work. The paper concludes by introducing a new idea inspired by our findings: a self-aware community that nudges members toward community-wide goals. Your critique of corporate systems for rating is true numerically, but remember that most corporate system users have significantly similar characteristics, which may increase the likelihood of a vote’s accuracy as a recommender to others in the corporation.